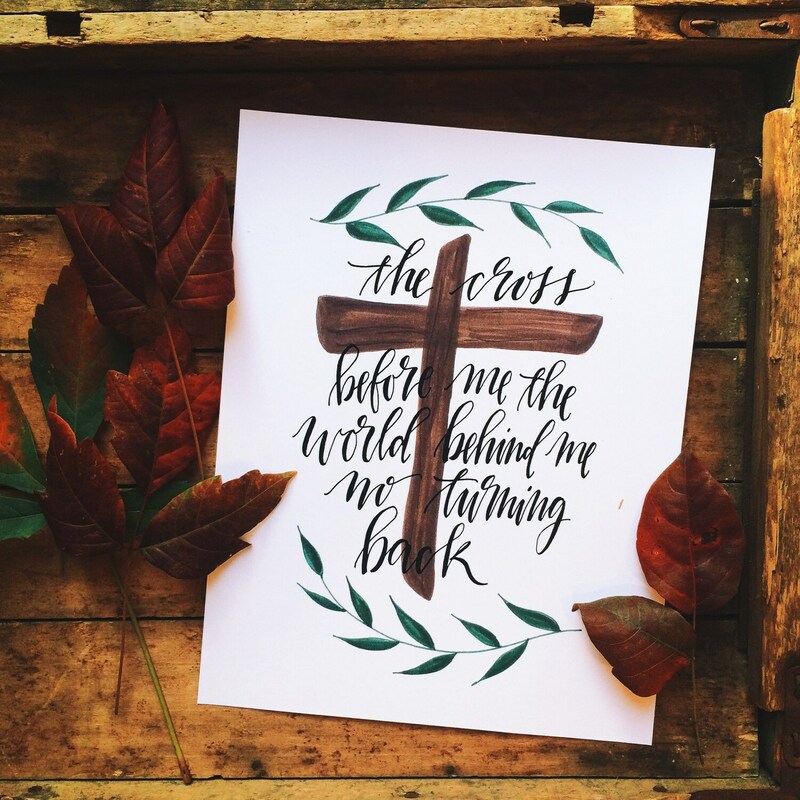 Featuring lyrics from the classic hymn, I have decided to Follow Jesus, that was reimagined by Hillsong United, this print of my original watercolor design is one of my very favorite worship songs, and is sure to make a great gift for any Christian home this Easter. Especially for your favorite worship leader or Pastor! I love the reminder to keep our eyes fixed on the cross! 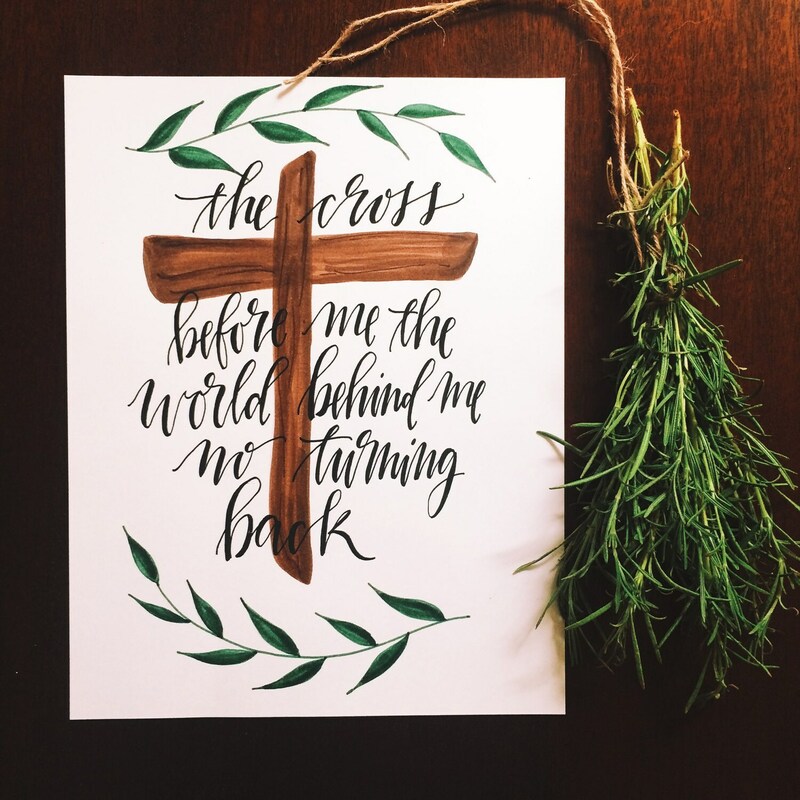 This piece was professionally scanned and printed at my local print shop to ensure the highest quality, and it would not only look beautiful in any Christian home, but it would be a poignant reminder of where our priorities should lie, not in the world, but in Christ Jesus!